List of Twitter handles used by Twitter to reach you. If you use Twitter to be updated with things happening around, then there is a list of Twitter handles which is used by Twitter to reach you. You need to follow them to know more about Twitter and the ways it is being used by many users in lot of ways. Twitter was developed as an online social networking and microblogging service that enables users to send and read short 140-character text messages. Twitter was created by @jack and @biz in 2006 and it has passed 241 million of monthly active user base. With so much support from the users and bringing users more closer to social media, Twitter has categorized itself in many areas of its interest. I would be sharing Twitter handles which is used by Twitter reach its audience at various level. Related Post: What are the alternatives when Twitter shuts down TweetDeck? The easiest way for you would be following the Twitter List made by me which includes all the Twitter handles mentioned below and will be adding new Twitter handles as its created by Twitter. You can also follow the mentioned useful accounts for according to your interest. Follow @twitter Your official source for news, updates and tips from Twitter, Inc. Follow @university Building a culture of learning for @TwitterEng and the world at large. Follow @TwitterEng The official account for Twitter Engineering. Follow @TwitterIR Official Account of Twitter Investor Relations. Follow @TwitterMirror Your official source for Twitter Mirror highlights. Helping you create great content during your events. Related Post: Calculate your fake Twitter followers? Follow @twittertv TV related tweets from our couch. Follow @TwitterMovies News, trailers, and fun facts from the silver screen. Follow @TwitterOSS Open Programs at Twitter. Follow @TwitterAds Your source for Twitter Ads product updates, tips, success stories and support. 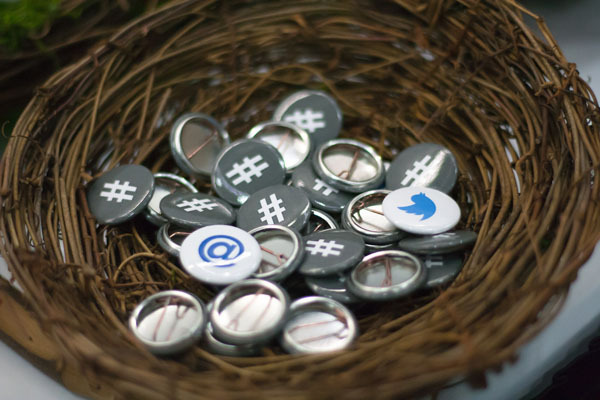 Follow @TwitterForNews Spotlighting best practices and innovative uses of Twitter by journalists and newsrooms. Follow @TwitterSports Sports related tweets from around the world. Follow @twittercomms Voice of the Twitter Communications team. We share stories from, and news about, Twitter. Follow @twittersearch We are Twitter Search! Follow us for search tips and news about cool features. Tweet us your ideas, feedback, and questions. Follow @DARPA Official Twitter account of the Defense Advanced Research Projects Agency. Shares and retweets do not imply endorsement. Follow @Support Helping you get the most out of Twitter. Follow @twitterapi The Real Twitter API. I tweet about API changes, service issues and happily answer questions about Twitter and our API. Don’t get an answer? It’s on my website. Follow @twittermobile Everything related to mobile. There are possibilities that I may have missed few Twitter handles which can be helpful for us so don’t hesitate to leave a comment or a feedback. If you like this blog please follow us on Follow @BuggingWeb, like the Facebook page and add us in your Google Profile for more updates. « Things to note before buying a Ultrabook.